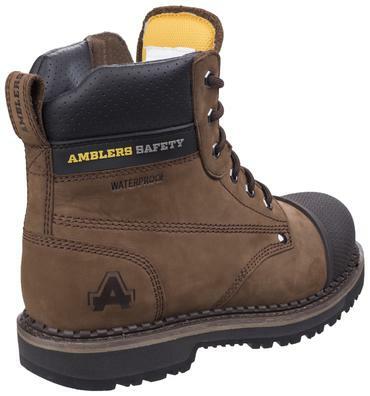 Hardwearing and traditional Goodyear welted safety boot from Amblers Safety. Crafted with a full grain Nubuck leather upper with internal waterproof membrane. 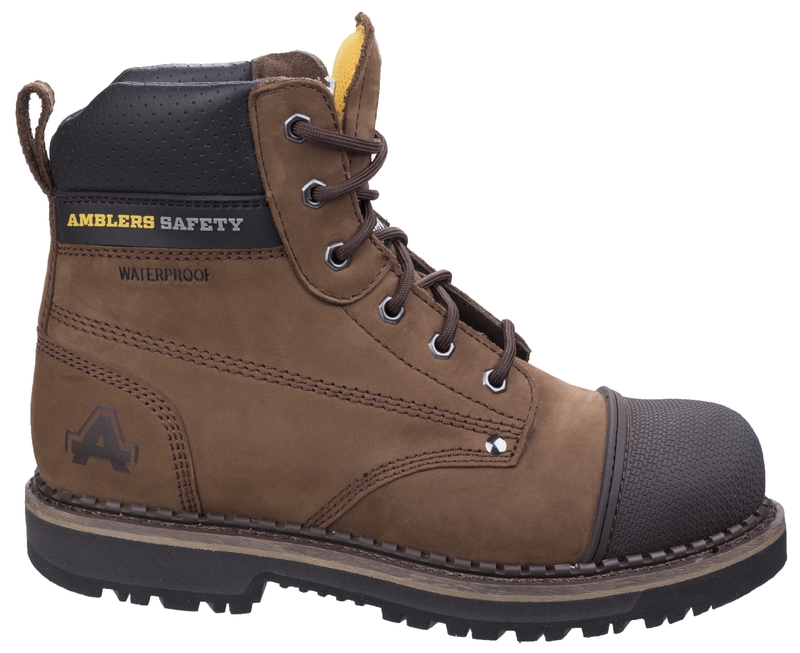 200J impact and compression resistant steel toe cap with external durable rubber scuff cap for extra toe protection. 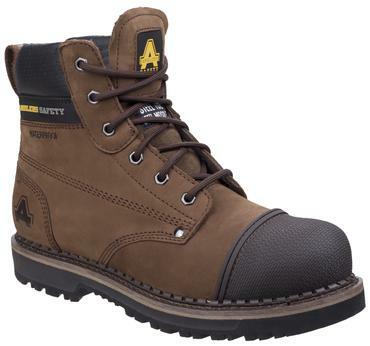 Underfoot protection is given with a penetration resistant flexible composite midsole. Comfortable deep padded PU collar and bellowed suede tongue keeps debris out. Breathable, moisture wicking lining. Energy absorbing heel counter consumes impact on tough terrain. Care Advice: To enhance the life & performance of the footwear, upper should be kept clean & dry.